Invergordon & District War Weapons Week - 30th June to 5th July 1941. 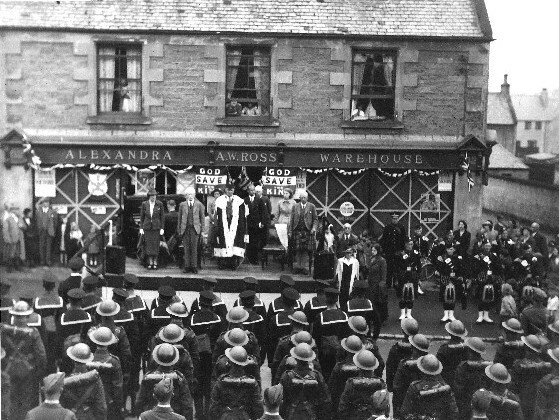 In the centre is Provost A. W. Ross and on the right in the kilt is Sir William Martineau of Kincraig. Where exactly is this in Invergordon? It is now the Council Service Point on south side of High Street, opposite the Post Office, with Bank Street going down on right of pic. In the 50s this business was run by the Mackenzie family who sold haberdashery, towels, curtains etc in this shop and sold groceries from the door entered round the corner in Bank Street.